ACCESS provides a wide range of technical assistance (TA) programming to develop civil society organizations (CSOs) throughout Georgia into strong and sustainable organizations. 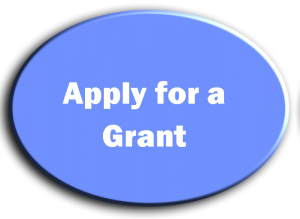 ACCESS Technical assistance program is comprised of several sub-programs. The Centre for Training and Consultancy (CTC), an ACCESS implementing partner, conducts CSO capacity assessments; develops individually tailored development plans; and provides training, consulting, and mentoring to strengthen CSOs. CTC focuses on nine operational areas in assessing and assisting CSOs (see box to the right). Assessment of the organizational capacities of the selected CSOs. 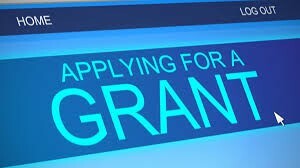 Assessment covers nine areas, including: Governance, Financial Management, Administration, Human Resource Management, Financial Sustainability, Strategic Planning, Fundraising, Organizational Management, and Project Management. 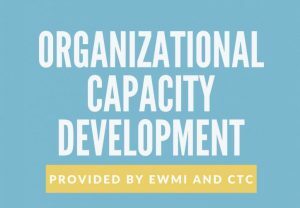 Assessment is carried out using the EWMI’s Organizational Capacity Assessment Tool. Development of the individual Capacity Development Plans (CDP) for each target CSO based on the organizational capacity assessment findings. The CDP includes specific action items and technical assistance needs to achieve the desired results in each of the assessed areas. The CDP is agreed and approved with the respective organization. Delivery of the tailored training, mentoring, and peer learning to the respective organization to implement its CDP during 6 – 9 months period. Upon completion of the technical assistance, conducting a second organizational capacity assessment for each CSO to quantify CSOs’ improvement and map the road for any remaining gaps. CTC also works with highly motivated CSO managers to develop their leadership skills through its Non-profit Leadership Program (NLP) – the 5-month intensive training program in Management of Non-profit Organizations. The program is designed for current and future CSO leaders and strives to build up the Georgian CSOs into mission-driven and well-run actors in their focus areas. The studies combine theoretical work and skills-building exercises on examples of the projects implemented by participants and the organizations they represent. The course was launched in October, 2015. The plenary sessions are led by CTC trainers in Tbilisi. Currentrly there are 23 participants (including from outside Tbilisi). 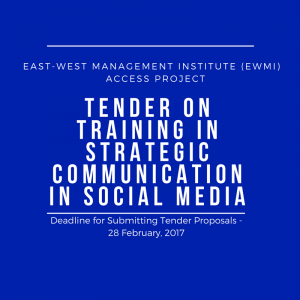 The program is fully funded by EWMI ACCESS and is free for the participants. The Civil Development Agency (CiDA), another ACCESS implementing partner, facilitates the Regional Civil Society Network (R-CSN), a group of 70 leading CSOs from 10 regions of Georgia. CiDA organizes R-CSN activities, links regional and Tbilisi-based CSOs, recruits new members, shares best practices and resources, and assists members in diversifying funding sources. CiDA also supports stronger linkages between regional CSOs and the private sector to bolster CSO sustainability. Through round-table discussions and facilitating work of the Corporate Social Responsibility (CSR) club represented by leading national business companies and CSOs, CiDA identifies opportunities for CSOs and businesses to partner for mutual benefit. The CSR Club was founded in May 2015 by ACCESS partner CSO – CiDA and the PR Communications and Marketing Company GEPRA. The Club currently unities 80 businesses, civil society, and educational organizations. Its mission is to promote corporate social responsibility in Georgia and facilitate interaction between businesses and CSOs. ACCESS supports CIDA and CSR Club members in planning and implementing joint (business-CSO) initiatives. ACCESS is a five-year, $ 6,897,000 civil society development initiative funded by the United States Agency for International Development and implemented by EWMI. The U.S. Agency for International Development administers U.S. foreign assistance programs providing economic and humanitarian assistance in more than 80 countries worldwide.